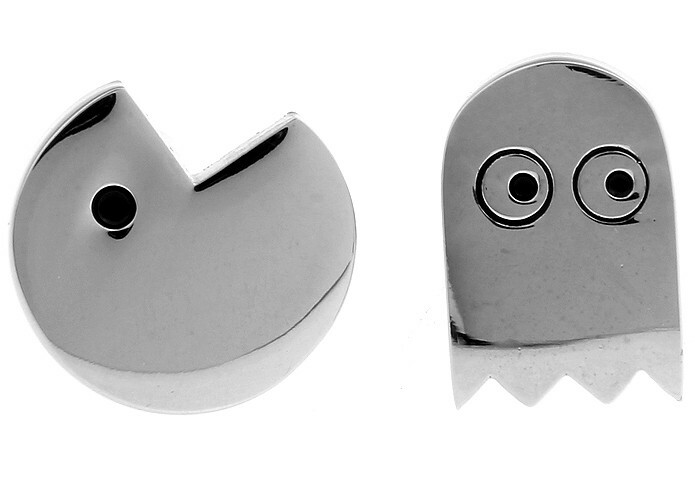 Pacman Cufflinks by The Tie hub. Did you grow up in the 80's? If so you are probably familiar with this iconic video game. The pair is a the way to show your support for one of the most popular video games of that time. The final touch for any retro game fan's shirt cuffs.